We have reached out to Apple for comment on how it determined the amount of its donation and where, specifically, it is donating the money. Apple has donated to relief efforts in the past. It donated $1 million to Northern California wildfire relief efforts in October and also matched employee donations. And without question it’s a good thing to provide resources following natural disasters. But it’s also important to understand just how impactful these contributions are. Apple is worth hundreds of billions of dollars, and it’s on the brink of becoming a trillion-dollar company. 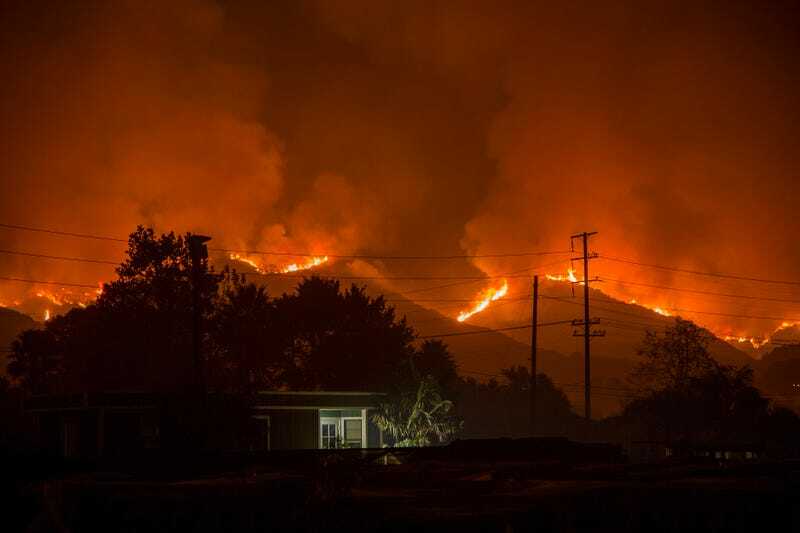 One million dollars is generous, but the cost of wildfires is astoundingly more than that. Cal Fire has an emergency fund budget of $426 million, KCRA reported, but it cost the department approximately $70 million more than that to fight wildfires from July 1 through December 7. I’m not shitting on Apple for donating 1,000 iPhone X’s-worth of money to help wildfire relief efforts, but Apple is the largest public company in the world. It’s important to remember how much Apple’s worth, versus how much it donated, versus how much is really needed to help. This is good, albeit incremental, support. But it’s also great PR for the tech giant.